WHAT DO YOU DO WHEN IT’S TIME TO LEAVE? I just came across a letter from a longtime major market jock that I printed nine years ago in my Radio Programming Letter. That was long before the financial world collapsed and so many radio jobs (and retirement accounts) disappeared. But perhaps some of it will strike you as still being relevant…. “Even though I have retired from the biz, I do like to keep up- to-date and enjoy your newsletter tremendously. “This is probably one of the things you have never thought about; I know sure didn’t: What do you do when it is time to get out? I spent 23 years as an on-air personality, filling about every position there is. At one time or another the burn-out gets to all of us, and I must say my choice to leave at the time I did was the right one. “What I wasn’t prepared for is how much I miss being on-air. It is something that everyone needs to think about. To work that long in the radio business constitutes a love affair, and it is just as traumatic when it ends as any relationship is. “It is unfortunate, but in many cases age really does make a difference when you are applying for even a part-time job. It’s never spoken; everyone knows you can’t say it. But after you have talked to a few PDs you can see the signs, the look of fear. They wonder, ‘Is this going to be me in another 15 or 20 years?’ Then the reality hits: Yes, it could be them. 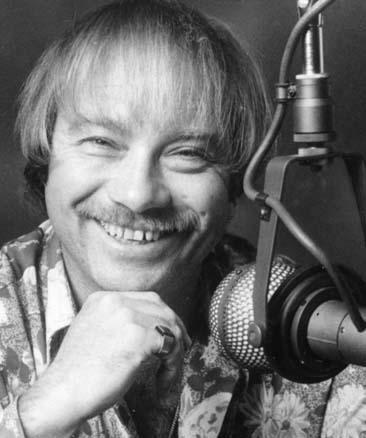 Probably the most memorable moment of that year’s PD Grad School — perhaps of ANY radio event I’ve ever attended or been part of — occurred when the legendary Dr. Don Rose reflected on his career…. DON: The memories were great, but they also were painful. To think that such a big part of my life was gone, never to return, and that the only place Dr. Don Rose exists is somewhere in outer space, where I’m sure the radio signals are still traveling…. Sooner or later, your career will end. Do you have a plan for what happens then? Do you have ANY interests outside of radio? Have you invested the time and effort required to build rich, lasting relationships with family and friends? Do you assiduously save some portion of every paycheck? Do you care enough about yourself to insure your financial security for the rest of your post-radio life? Here’s a tip that can turn you into a millionaire…eventually. Give yourself a 15% pay cut. That is, automatically deposit 15% of each paycheck into a savings plan. If you start doing that at least 20 years before you retire, your retirement probably will be more financially comfortable than your radio career. What would happen if tomorrow your employer said that due to economic hard times, your salary is being reduced by 15%? Would you starve? Be evicted from your apartment or have the mortgage on your house foreclosed ? Probably not. Probably you’d find a way to cut corners, do some belt-tightening, and continue. If you’re a typical credit-card borrowing radio workaholic, do yourself a favor. Give yourself a 15% pay cut. And take 15% of the time you’re spending at work and invest it at home. Oh how true! And stay abreast of new developments – in fact, develop them yourself, it’s amazing what presents itself when you break the mould of how you are perceived by those who’ve listened to you for 30 years! 30 years in the biz with a “forced break” every so often… I blew up a couple of relationships …and should have married those lovely ladies….One women saying– I have a mistress– her name is Radio– and she was RIGHT. Pushing 50 ..never married and no wonder…I didn’t put ANY time into relationships…so I was the oddball at the high school reunion– never married, no kids .. and thus, a few regrets. I remember that article. And I remember the most gracious Dr. Don Rose, who came on our last show before his old KKIS flipped to Spanish. He was not only kind, he knew our on-air work, lamented with us, told great stories, and brought class to the closing party, as did Bobby Ocean. That’s one tape I’ve safely stashed away. I think I’ll listen again. And have the Kleenex ready. This might sound trite, but I did need to read this today. The look on my daughter’s face when I came home late again last night said a million things she can’t even begin to express. Time to cut my 15%… or 20%. It’s a tough thing to think about-life after radio! Although out of the “radio biz” for only 8 years, I’m able to get my “fix” by “guest”ing with my radio friends on air whenever needed. I do voiceover work thru my company (WOW Broadcasting) but my love affair with Radio has never, and I don’t believe, will ever end. Can’t seem to throw away old airchecks just yet…Save that 15-20% and DO invest it in family and friends-they last. Blimey… I’m trying to get back INTO radio after an extended break. Don’t really want to think about retirement just yet. Wow. That’s such a sad article to read. It took me waaaaaay too long into my career to remember what was really important. Thank God I corrected that. I actually enjoy my job MORE now that it’s not ‘everything’ in my life. GREAT article, Dan. What a timely article, Dan. It really emphasizes what matters most in life. Unfortunately, for me, it took an unplanned dismissal from the business to realize I wasn’t paying enough attention to my family. The “mistress” (radio) won, my wife left me and now even the mistress is gone. Putting the 15% away helped me, because I lived off it before it turned into pennies on the dollar. 15%, huh? It’s gonna be tough, but I’ll try…….